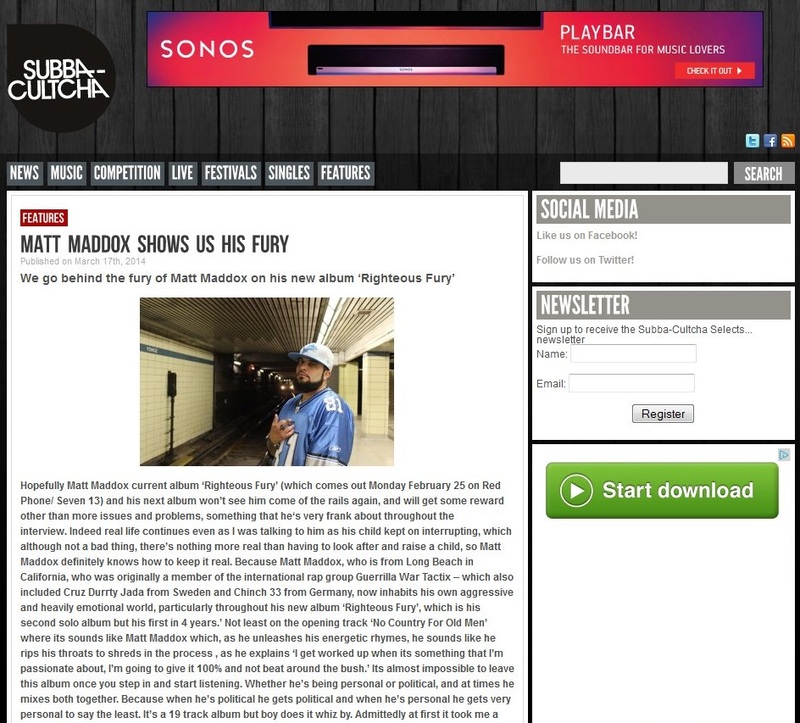 West coast Emcee Matt Maddox, now based in America’s Mid West, released his sophomore album “Righteous Fury” on 25th February, and took time out recently to speak with British online publication Flavour Magazine. 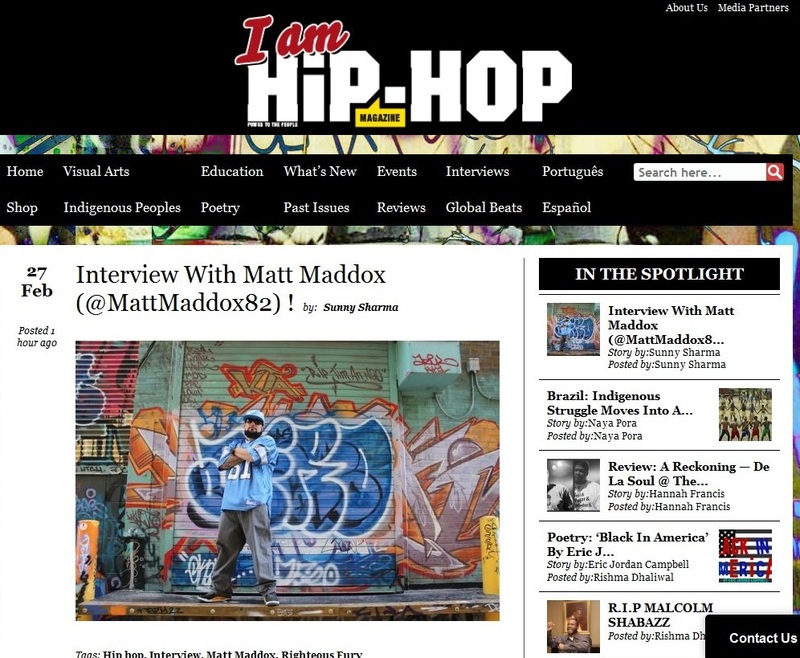 Contributor Delphina Scott spoke with him about the new album and the recording process in the studio, his thoughts on artists’ growth and development, his views on the recent debate on whether “Hip Hop is degrading society” and the clear definition between the specific genre and others, self sufficiency in the human condition, the public’s backing of buying artist releases and what factors within hip hop he would change today. 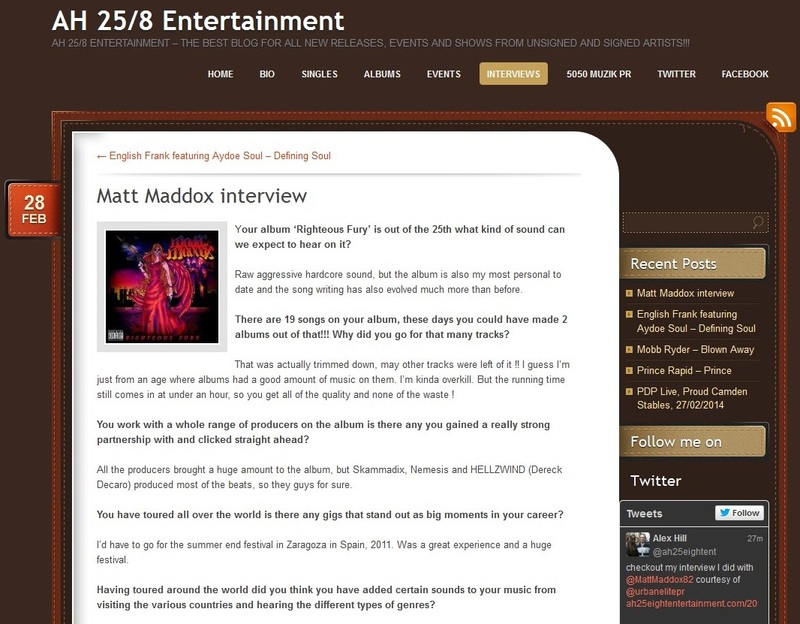 Look out for Matt hitting Europe in the early autumn at various clubs and festivals. 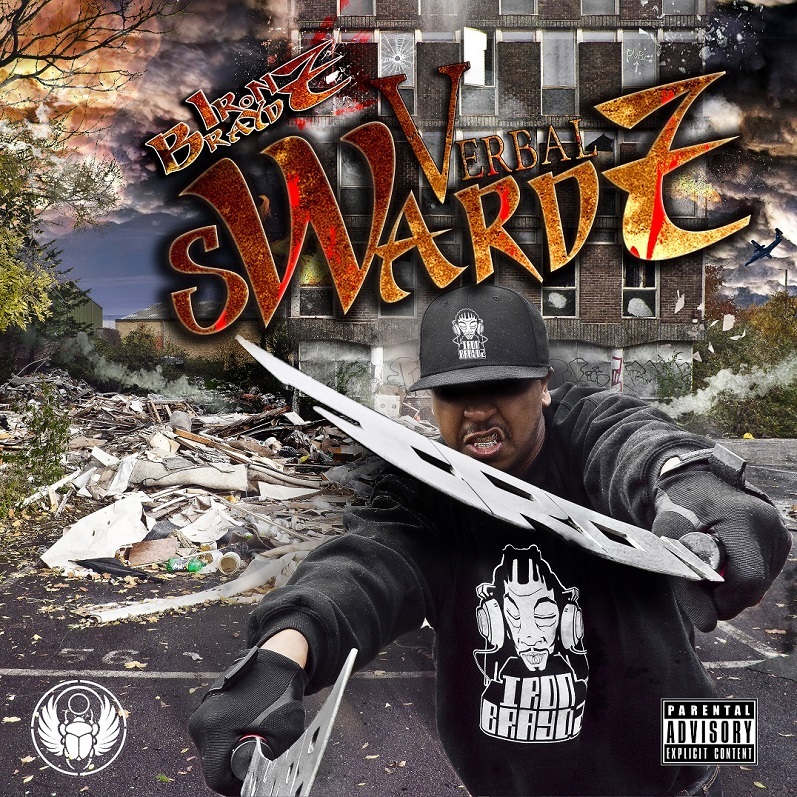 The album which includes features from Tragedy Khadafi, King Magnetic, Adlib, Burke the Jurke and Reef the Lost Cauze, and production by Sicknature of The Snowgoons, Vanderslice, C Lance of Jedi Mind Tricks, Nemesis, Skammadix, Sultan Mir, Engineer and the UK’s Edd Bundy is available from international online stores in digital and CD format. 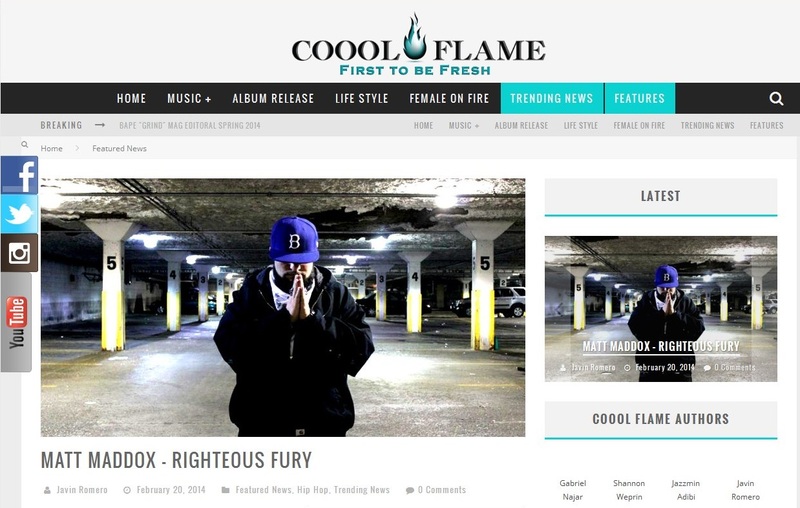 Los Angeles online hip hop magazine Cooolflame took time out to speak with Long Beach native Matt Maddox recently ahead of the release of his sophomore album “Righteous Fury”. The ex Guerilla War Tactix member has since moved from SoCal to Hawaii and is now based in Kansas, and spoke to the magazine about various issues including his origins in hip hop and the formation of Guerilla War Tactix, working with Canibus, Sadat X, Sabac Red & Gortext, his albums Asylum Artistry and Righteous Fury and much more. The album has neck breakin hip hop beats from C Lance of Jedi Mind Tricks, Skammadix, Sicknature from Germany’s Snowgoons, the UK’s Edd Bundy, Nemesis, Vanderslice and also top turntablism cuts from scratch DJ TMB. Features include Tragedy Khadafi, Reef the Lost Cauze, King Magnetic, Swann, UG, Godilla, Burke the Jurke and many more. 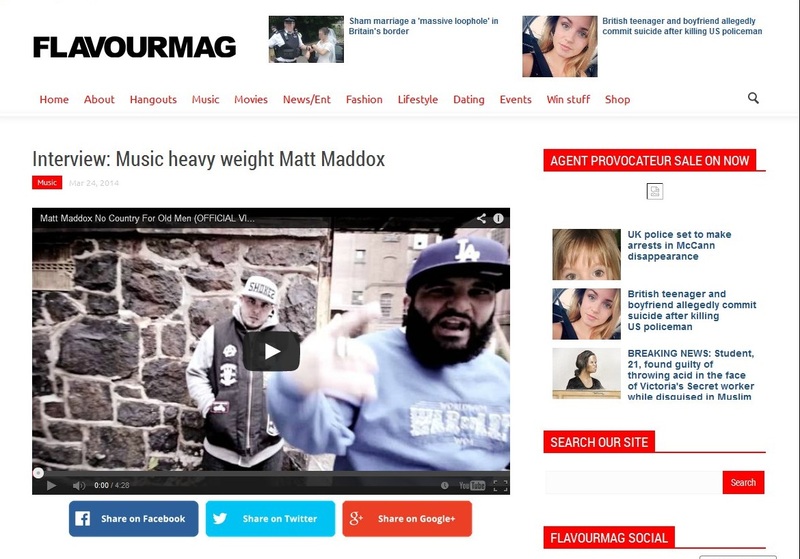 It’s been a couple of years since his last official release, but one of the UK’s most respected hip hop lyricists Iron Braydz has been putting in the work and is back with a vengeance. 2013 saw the north London MC join old sparring partners Melanin 9, Cyrus Malachi and Phoenix da Icefire as the most recent addition to the Triple Darkness crew while remaining a regular feature on the city’s live circuit. It was also a year which saw him on set appearing in a new upcoming Simon Baker film and spend many hours in the lab recording a series of releases for the year ahead. The first of these is his new Verbal sWARdz EP which releases on 14th April. Mainly self produced, the 10 tracks include features by Sean Price, Kyza, Skriblah, Triple Darkness and on this new Daniel Taylor produced joint Millennium, there’s a welcome appearance by Organized Konfusion’s Prince Po.